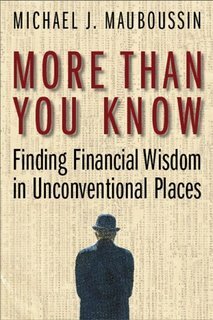 Each essay describes a fascinating scientific finding, then develops and applies it to personal investing. "Survival of the Fittest," for example, begins by discussing how Tiger Woods improved his golf swing, introduces the concept of fitness landscapes from evolutionary biology, then explains why investors in commodity-producing companies should like strong centralized management, while technology-stock buyers should prefer flexible organizations with lots of disruptive new ideas. PW's bottom line was that the book is well-written and entertaining enough for a general readership as opposed to just serious investors, but that some of the material is out of date. I may have to check this out when it's published in June. 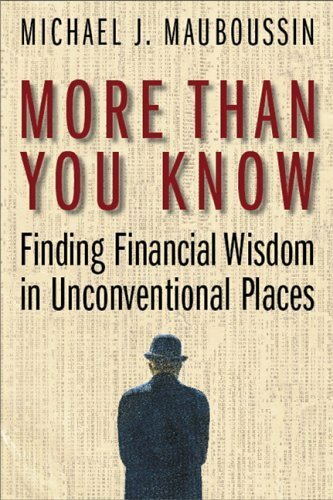 I've been reading your blog for about a month now and I notice you often write about books on finance. I just got done reading a great financial book called Automatic Wealth for Grad's by Michael Masterson. The book was so amazing and a super easy read. Mr. Masterson shows readers how the miracle of compound interest and smart financial planning can make even the guy working at the gas station down the street can become a millionaire. I've started using his investment advice and am on my way to becoming a millionaire by age 40 (Im 25 now). This book was so great Im recommending it to everyone I know.